If you were thinking of getting an original Sophie Harley Algerian Love Knot necklace for your Bond girl, this is the time to get it. 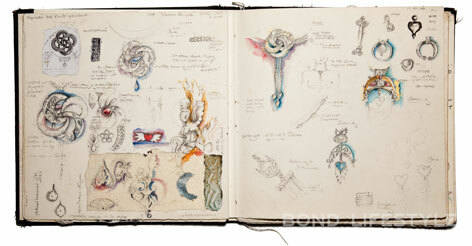 For a limited time, you get an exclusive print of the original design sketches made by Sophie Harley. Fill in the promo code bondlifestyle during checkout online, or mention the code when ordering by telephone or email, to receive this print, which can also be signed by Sophie Harley, including a personal message to you or the recipient. The Algerian Love Knot necklace was worn by Eva Green as Vesper Lynd in the movie Casino Royale and was also seen in Quantum of Solace in the hands of James Bond. Created from twisted gold and silver rings, multi layered chains, and featuring Sophie's signature winged heart clasp, the necklace bears the hallmarks of Sophie's inspiration. Sophie Harley was approached by Casino Royale's costume designer Lindy Hemming to create a piece of jewellery for the film. 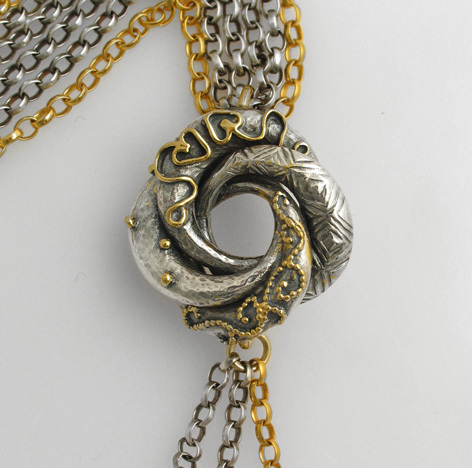 The original designs made by Sophie Harley for the necklace and earrings show the process of getting to the final famous Loveknot design. 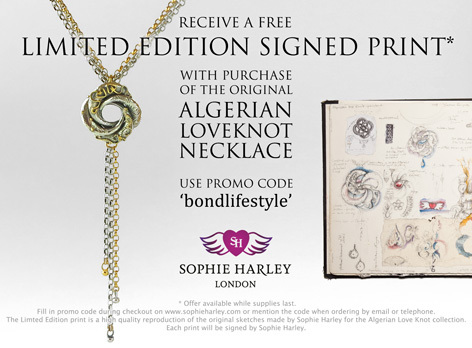 To order the original Algerian Love Knot necklace, call Sophie's studio in London directly on +44 (0) 207 430 2070, visit the website or send an email, and mention promocode bondlifestyle to receive the Limited Edition print. 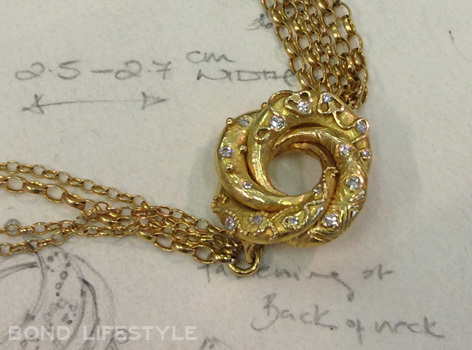 A unique 18ct gold Love Knot necklace with diamonds (pictured above) is available for £19,980.